Florence is not only a fashion capital but also it’s the city of perfume these days! My day started with a short stopover at the Officina Profumo-Farmaceutica di Santa Maria Novella on my way to Fragranze. At the fair I spent hours and hours sniffing new fragrances and talking to perfumers. Back in my hotel I am overwhelmed by what I have smelled today – so many new perfumes and impressions! 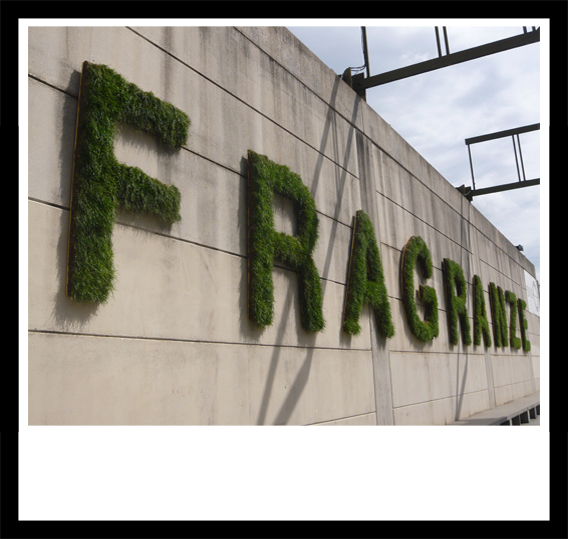 Fragranze is the place to be if you are interested in that „special perfume“. All important niche brands from all over the world are presenting their fragrances in the beautiful Stazione Leopolda in Florence. And all the perfumers are there in person: the gentle Keiko Mecheri, Swiss perfumer Andy Tauer, French genius Pierre Guillaume (Parfumerie Générale), the absolutely passionate Ineke Rühland (Ineke), the king of purism James Heeley (Heeley) – or the revolutionary Libertin Louison who can explain his line Technique Indiscrète with so much passion that I fell in love with each single scent. That’s what I think represents zeitgeist. Keiko Mecheri: the new men’s fragrance Les Zazous with woody notes, rose, lavender, amber and spices – what a wonderful scent! And I tried an older fragrance I didn’t know before and I fell in love with – Cuir Cordoba – a wonderful leather scent for both men and women with notes of suede leather, iris butter and cedar. Warm and comforting. Perfect when the days start to get chillier. In Berlin summer is over and I am thinking this could be my autumn scent. 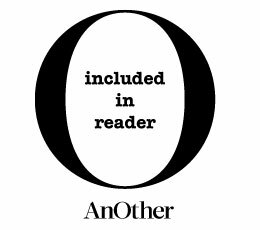 weiterlesen "Short Cuts // Fragranze N.8￼"
olfactorialist.com is official media partner of Fragranze N.8. I am looking forward to provide you with the latest news from Florence! 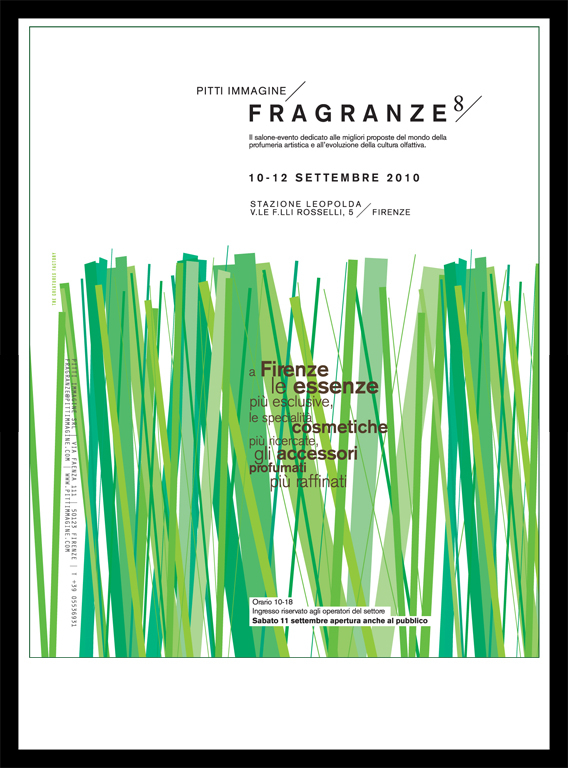 From Friday to Sunday, September 10 – 12, 2010, Pitti Immagine presents Fragranze N.8, the fair event dedicated to the best the world has to offer in artistic and selective perfumes and the evolution of olfactory culture. The Stazione Leopolda will be the showcase for the most exclusive essences, bodycare and wellness products, as well as the latest innovativeness in cosmetics and scented accessories. Here you will find outstanding craft quality, one-of-a-kind items and sophisticated offerings from the finest brands on the international scene. Fragranze will also be accompanied by a full calendar of events – special previews and press conferences – organized by Pitti Immagine and the exhibitors, that will turn the spotlights onto the world leaders in essences and contemporary lifestyles. Nearly 160 brands will be at the next edition, including: Abanha, Acqua di Stresa, Annayake, Bakel, Calé Fragranze d’Autore, Caron, Casaroma, Czech and Speake, Etat Libre d’Orange, Face Stockholm, Floris, Georges Feghaly, Gianna Rose Atelier, Heeley, Honoré des Prés Paris, Il Profumo, Jacques Zolty, La Maison de la Vanille, L’Artisan Parfumeur, Laura Tonatto, Lorenzo Villoresi, Lubin, Mark Buxton, Memo Paris, Mona Di Orio, Montale – Paris, Nez a Nez, Nobile 1942, Officina De’ Tornabuoni, Officina delle Essenze, Opalis, Simone Cosac Profumi, Solange, Tauleto Fragrance, The Hypenoses, Vero Profumo. And amongst the new entries: Dr. Bronner’s, Dr. Vranjes, Mad et Len, Technique Indiscrete, Washington Tremlett. weiterlesen "Fragranze N.8 // Pitti Imagine"